Mark Kramer completed his PhD in Clinical Psychology at the University of Minnesota in 2010. 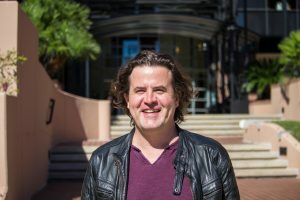 His research to date has focused on the etiology of common mental disorders, with a particular focus on the role of personality in prediction of psychopathology. This work included development of several personality inventories using modern psychometric approaches and analysis of prospective, longitudinal datasets. Turning now toward research on the treatment of disorders as opposed to their causes, Mark is excited to utilize his breadth of statistical skills to evaluation of the effectiveness of various behavioral health intervention programs. In contrast to the at times abstract products of psychological research, Mark enjoys activities outside of work that involve tangible results. He enjoys wrenching on and racing old BMWs, cooking, and exploring Austin’s restaurants and nightlife.